See Queensland first before joh sells it, c1978. 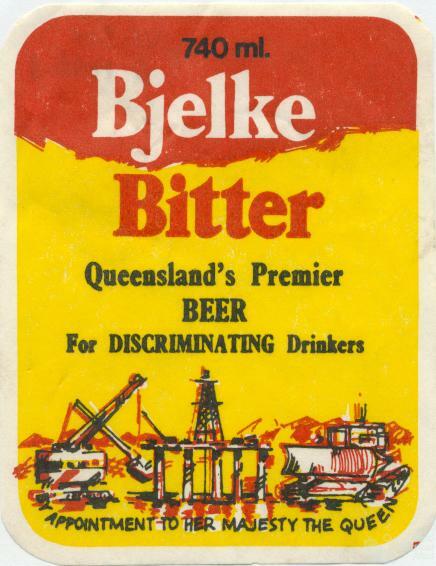 Anti Joh Bjelke-Petersen bumper sticker, modeled on the Queensland tourism campaigns and issued by the Australian Labor Party. 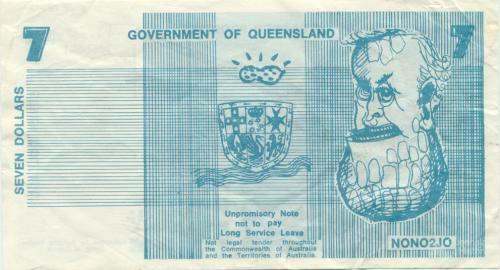 Seven dollar note, 1977. Unpromisory note not to pay long service leave. 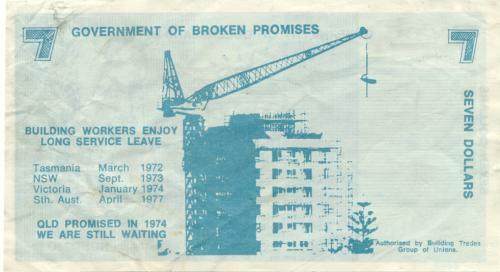 Joh Bjelke-Petersen clashed with many unions including the Building Union who had negotiated but not been awarded long service leave in 1977. Collection of the Fryer Library, University of Queensland.